If it wasn’t for Charles Leclerc‘s coming-of-age performance and ultimate heartbreak, it’s likely all the headlines from Bahrain would be focused on Lando Norris. And quite rightly, too. In only his second race for McLaren the British rookie achieved something Stoffel Vandoorne couldn’t: finish as high as sixth for McLaren. Hell, Fernando Alonso only managed it six times across four years. As in Australia, Norris fell back at the start of the race. In Bahrain he fell from his grid slot in ninth to as low as fourteenth following an off-track excursion on lap one. Unlike Australia however, Bahrain lends itself to overtaking and Norris made the most of it; his fight back to the points was mightily impressive. In particular, his pass of Pierre Gasly early in the race; despite being some five or six car lengths behind when entering the braking-zone Norris passed Gasly around the outside at turn four! From there Norris worked his way forward, finding the balance between aggressive overtakes and making his two-stop tyre strategy work. In the closing stages, Norris turned his talents to defence where he held Kimi Räikkönen at bay for a scarcely believable fifteen laps, despite the 2007 world champion benefiting from all three DRS zones per lap. The final cherry on the sand blasted cake in Bahrain for Norris was Nico Hülkenberg‘s late-race retirement which elevated Norris to sixth and eight valuable points. If you’re not already on board the Lando Norris bandwagon, I suggest you get your ticket soon; it’s going to get busy. It may have been a last-minute deal to sign Alexander Albon but it’s proving quite the coup for Scuderia Toro Rosso. If we take Daniil Kvyat as the Red Bull programme’s perennial yardstick then Albon is so far stacking up very nicely indeed. For the second race in a row Albon out-qualified the more experienced Kvyat and in Bahrain the British-born rookie out-classed him in the race, too. In an ultra-competitive mid-field that invited drivers to bump wheels, clip wings and make all manner of errors, Albon drove with maturity in both defence and attack. While Kvyat never once looked like challenging the top ten, Albon appeared destined to just narrowly miss out on his first Formula 1 points. Although Albon was closing in on Daniel Ricciardo in the closing stages, the rapidly shrinking lap count was against him. That was until Renault F1 Team‘s implosion as both cars retired with three laps to go, elevating Albon to a well-deserved ninth. 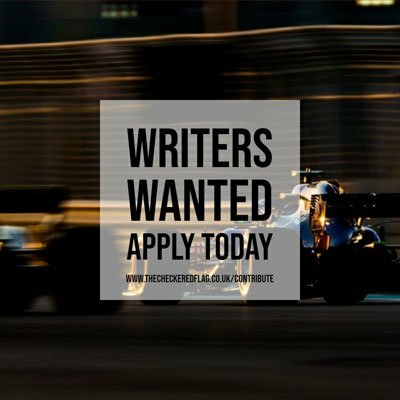 In the high-pressure environment of the Red Bull driver programme, Albon now has two valuable things his team-mate does not: championship points on the board and a place in Helmut Marko‘s good books. Unlike Australia, Giovinazzi had quite an anonymous race in Bahrain on his way to his best finish in F1. Räikkönen’s Q1 time was a 1:29.959, just 0.067seconds quicker than Giovinazzi. But in the tight mid-field that was enough for Kimi to progress all the way to Q3, while his rookie team-mate was eliminated in Q1. In the race, Giovinazzi showed similar pace to Kimi but was unable to reach the top ten, finishing just shy in eleventh. Nonetheless, the Italian was pretty pleased with his performance. Giovinazzi didn’t cover himself in glory when he first appeared (usually in a cloud of smoke and broken carbon fibre) on the Formula 1 scene for two races in 2017. But this time around, he appears a solid, if so far unspectacular choice for Alfa Romeo Racing. Unlike his fellow rookies, George Russell‘s most impressive attribute so far in 2019 has come from off the track. Russell’s got the talent, we know that, but with Williams Racing he simply doesn’t have the car under him to show it. And while other rookies may have spat out the dummy and tipped over some tables, Russell’s maturity has seen him take it all in his stride. Indeed, unlike his more experienced team-mate Robert Kubica, Russell has remained positive despite the desperate position in which he and his team find themselves. “We know where we are at the moment, but it was a fun race for me,” said Russell. “I had some nice little battles with Robert so I’m thankful to the team for letting us race as it was enjoyable. It was quite a good race from a personal perspective but obviously not too enjoyable finishing in P15. Not only was Russell considerably more positive than Kubica in Bahrain, the British rookie out-paced him, too. In qualifying he marginally beat the Pole to claim nineteenth and in the race Russell came out on top too, finishing fifteenth, one place ahead of Kubica. If Williams get their act together and provide Russell with a car befitting of his immense talent, there’s no doubt he’ll be ready to make the most it. Next up for our rookies is the in-season Bahrain test, before they head to the 2019 Chinese Grand Prix and the 1000th World Championship race.